Brenton Ragless, Channel 9 Presenter, was announced as the new SMG Ambassador at the SMG 25 Year Reunion held at Unley High School. The announcement was made to over 350 guests which included current and previous chaplains, SMG staff, Support Group members, and volunteers. Brenton shared that he had been positively impacted by chaplaincy while growing up. SMG is South Australia’s leading school chaplaincy service provider, and offers ongoing pastoral and practical support through chaplaincy services to help young people and school communities discover purpose, value and hope. 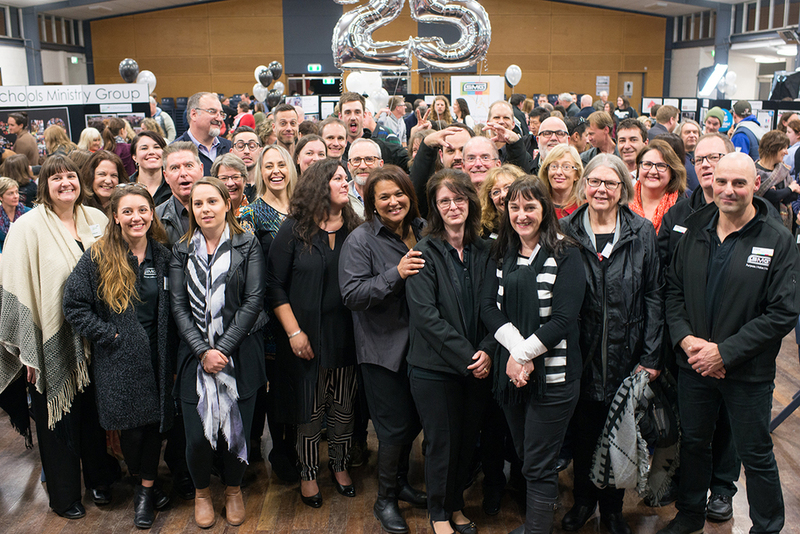 The SMG 25 Year Reunion was a time for celebration and a time to remember and acknowledge the incredible contribution of so many people. During the evening Jim Keatch (Board Chair 1991-1992), Scott Hawkins (Director 1998-1999, 2001, 2003-2005), Malcolm McArthur and Fuzz Kitto shared with us memories from their SMG journey. For me, the Reunion was an opportunity to honour all the amazing people who make up the SMG family. I feel privileged to be part of this family and I am humbled by the support and encouragement I receive as I journey with you. I want to acknowledge and give thanks for everyone who has supported SMG over the years and in particular the long term commitment of the combined Christian community working together, which is unique and is to be treasured as we head into the next 25 years. Fuzz Kitto - Director of Stop the Traffik and Spirited Consulting, and Sharon Witt – Teacher, Author and Presenter were the Keynote Speakers at this year’s conference. Fuzz challenged us to be Innovators, Enterprising and Entrepreneurs in our roles and encouraged us in the work that SMG has done and is doing through Chaplaincy. Sharon’s presentations helped the PCWs understand body and self-image issues, as well as how to build resilience in young people. 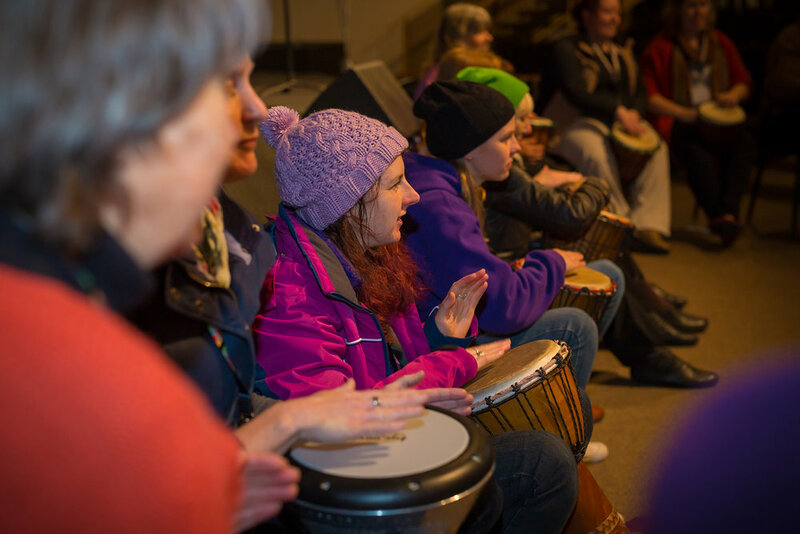 PCWs were able to leave the conference refreshed, challenged, and with a ‘tool kit’ of new understanding and resources to take back and support their school community. Schools Ministry week was held June 19th to 26th, and is a time for the local churches to come together and recognise, honour and thank their local school communities. Gifts were given, along with events and activities held in schools across the state including a coffee van and encouraging notes from the students to revive teachers at Allenby Gardens Primary, flowers for Urrbrae High and delicious hot soup for the staff at The Pines School. Thank you to everyone who got involved and positively impacted students, staff and the whole school community with your kindness and generosity. In recognition of the amazing work being done by SMG Support Groups across the state over the last 25 years, the Minister for Volunteers, Hon. Zoe Bettison MP provided Certificates of Appreciation to thank every Support Group. The certificates were presented to Support Group Representatives who attended the SMG Reunion by Angela Jolly and Brenton Ragless.